Given 50 years of occupation, threats of more reduction in aid, deadly violence, daily harassment – and more demolitions of homes and schools lurking just around the corner, you would expect the atmosphere to be grim and bleak. 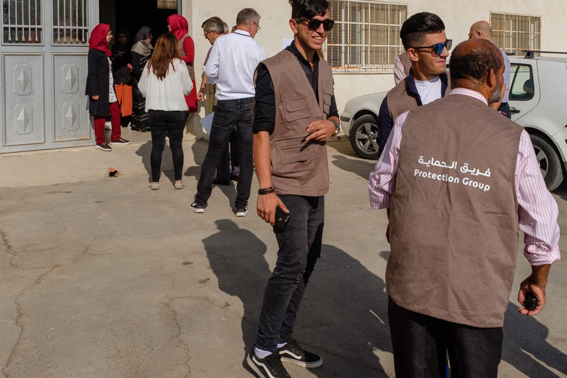 Yet on this sunny October day in the Palestinian West Bank, the mood is upbeat and almost festive as people from five small villages and invited guests gather in the community center in Raboud, south of Hebron. 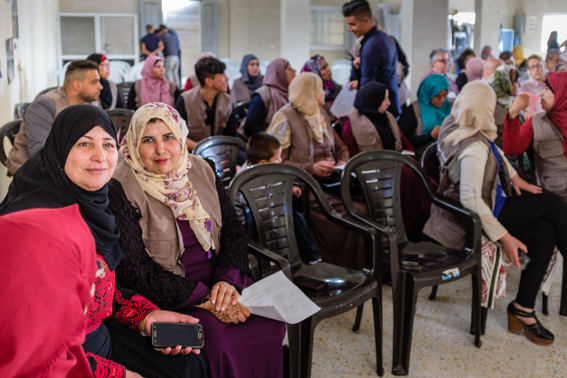 The official occasion for the gathering is the launch of a new paper on Learning from community-led protection in Palestine. Still, the members of the protection groups from the villages of Abu alurqan, Abu alghuzlan, Mneizal, Wadi Fukin and Raboud together with Palestinian NGO EJ-YMCA have clearly seized the day and designed the program to be an exchange – and not least a celebration of their experiences with working together in developing a different approach to community-led resilience and protection. The result: hands down the most lively and insightful launch of an NGO-style paper in a long time. Nawal Uqeili (Abu alghuzlan): This is the first time, I stand in front of a crowd like this. I thank you for taking us “out of the box” like this – simply because the YMCA kept on insisting that women had to be involved. At first, I did not even know what an invoice was. Now, I and other women are directly involved in rehabilitating our own health center… we have really learned a lot. Adham Manasrah (Wadi Fukin): What really is different in this way of working, is how everybody is included. The activities follow our own ideas and are led by our initiative. Heyam Hreizat (Mneizal): Through this collaboration, we have learned how to influence both Palestinian and Israeli authorities – including how to use the local media to put pressure on the authorities. As a result now after many years, we finally have electricity installed in Mneizal. 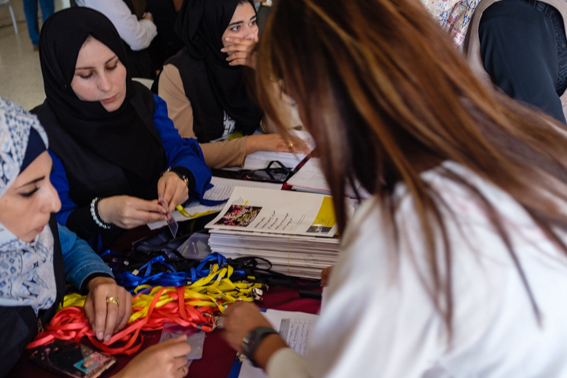 Ala´Sabarneh (EJ-YMCA): Together we have learned not just to wait for a donor. A lot can be achieved by our own means – and for instance the use of advocacy. Electricity to Mneizal is a good example of how the work of the protection group achieved a result, which ended up costing the authorities several hundred thousands. Something NGO grants could never achieve. 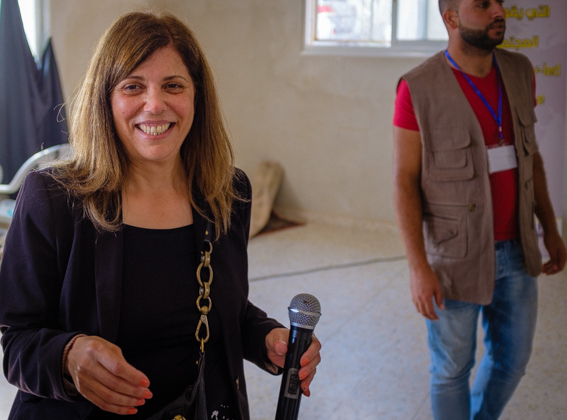 Amina Abu Zneid (Raboud): As a result of this way of working, we will now only accept to work with NGOs who accept our village action plan and our priorities. And when for instance the NGO cash grant was too small to cover the cost of rehabilitating school and health clinic facilities, we called for a big meeting and raised the missing funds ourselves – including gifts from abroad. Mai Jarar (EJ-YMCA): What is most important here may not be the individual activity or achievement. What really matters here is the shift in culture and practise in our communities – and in how we work together. This is a much bigger change. 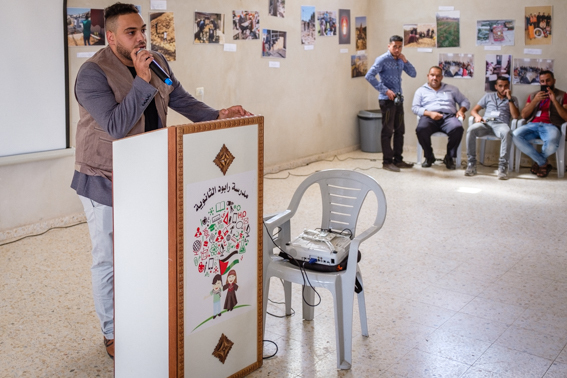 Apart from a large number of people from the five villages and the EJ-YMCA, the event in Raboud was attended by a large number of representatives of Palestinian authorities and donors, interested NGOs (local, national and international) and the UN. 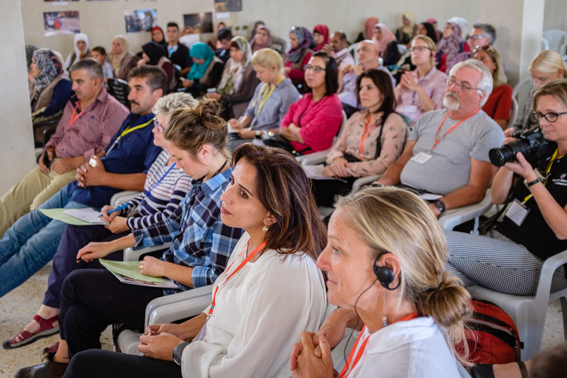 Developing this new way of working with community-led resilience and protection is the result of several years of collaboration between the communities, YMCA, Church of Sweden, DanChurchAid/Norwegian Church Aid, Christian Aid and Local2Global Protection. The work you have described today is presented as a new and unconventional way of working. Having listened to you, I can’t help but think that hopefully the unconventional way of working will become the new convention. That you as the affected communities will lead in your own responses – and we as NGOs will support and follow you in your actions.